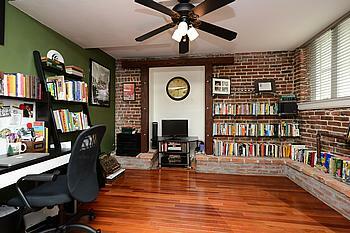 Gorgeous garden level unit in the historic Colonnade Lofts. 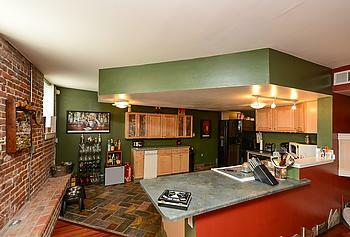 This unit features an ideal open concept floor plan with the kitchen and living room sharing one large livable space. This unit is perfect for entertaining and relaxing. 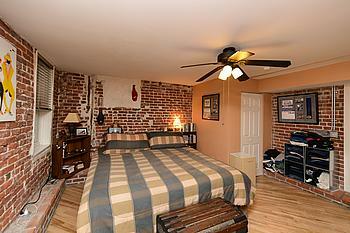 Ample exposed brickwork gives the unit that distinct Denver loft feel. The kitchen features beautiful slate inlayed floors, maple cabinets and plenty of counter space. 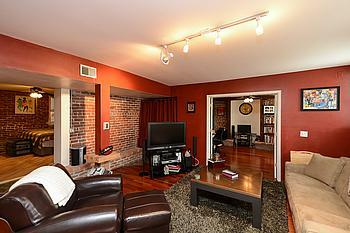 The living room features cherry hardwood floors, exposed brick and tons of natural light through 5 west facing windows. The master bedroom continues the loft feel with more beautiful exposed brick, oak hardwood floors, his and hers closets and a private master bath. Off the master suite there is an outdoor patio perfect for grilling and enjoying Colorado’s 300 days of sunshine per year. The office could easily be converted to a second bedroom with the addition of a closet in the cutout in the south wall. The office features cherry hardwood floors, French Doors, exposed brick and more western exposure for lots of natural light. The building offers multiple entry points. The main entrance is off Colfax with a second courtyard entrance at the rear of the building. The courtyard makes for lovely gathering place for residences to hang out and enjoy the building’s urban setting. 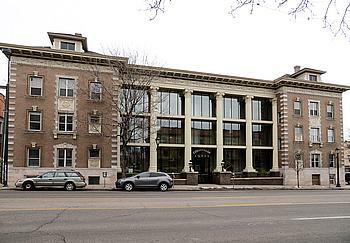 Located in the heart of one of Denver’s most historic neighborhoods, the Colonnade Loft offers ample amenities with easy access to downtown and Denver’s major Interstates.